GENRE IS DEAD's Releases Of The Week: DEVILDRIVER, Unearth, Prophets of Rage and more! - GENRE IS DEAD! In anticipation of their album, Outlaws ‘Til The End: Vol 1, that was released just two days ago, American heavy metal band DEVILDRIVER teamed up with 36 Crazyfists’ frontman Brock Lindow for the track “Copperhead Road”, and what a strong release it turned out to be! 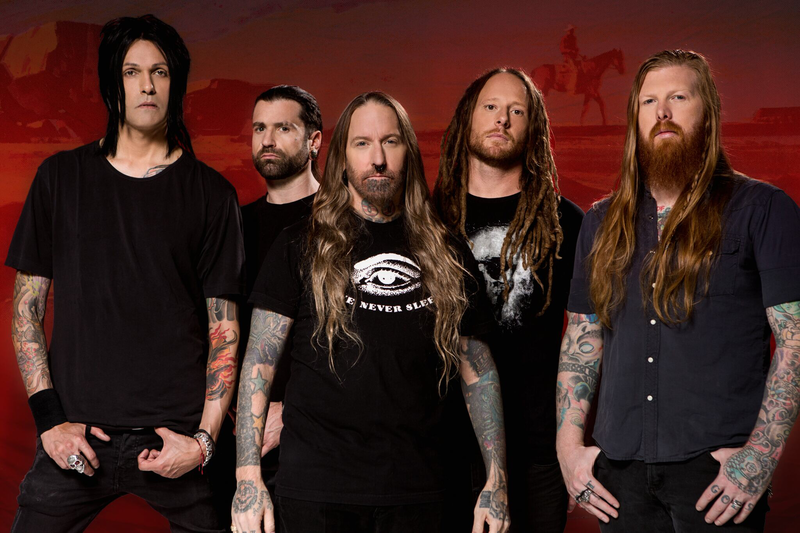 It seems the vocals of DEVILDRIVER’s Dez Fafara and Brock Lindow are a perfect match. If you ask us, they gave the song, originally played by Steve Earle, a new and exciting twist, and we love it! More heavy news! Unearth brought us ‘Incinerate’, the first single of the first album to be released by the band in four years, and the fans couldn’t be happier! Right now the band is on tour with Vans Warped tour, and they are playing their brand new song there, so check it out if you have the chance! Their album, Extinction(s), is due this fall! American rap rock supergroup Prophets of Rage broke the silence that was around since September last year and released “Heart Afire”, just two days ago! It is heavy, it is fierce, what more could you wish for? On July 22nd their tour, which they’ll be doing alongside Avenged Sevenfold, will kick off in Mansfield, MA! The most romantic and cutest song AND video also dropped this week! Jason Mraz invites you to his wedding and shows you the most sweet montage of him and his beautiful wife Christina Carano while you get to enjoy his new song “Might As Well Dance”. The track will be included on his upcoming album Know, which will be “in full bloom” (his words!) on August 10th. “Summer. Starts. Now.” Justin Timberlake couldn’t be more right! The sun is out, temperatures are high and the jeans are short: the perfect time to release the perfect soundtrack to your summer! “Soulmate” came out only a few days ago but it’s already proving to be a wonderful track for this year’s summer!